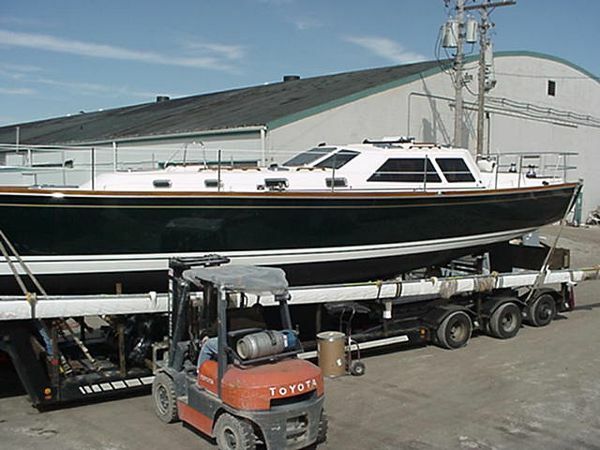 Since the early 1960s, Tartan Yachts has been a pioneer in many areas of yacht design and construction. 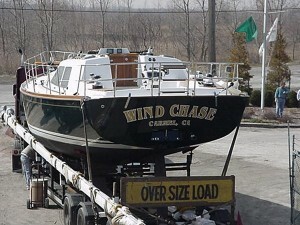 Founder Charlie Britton was one of the first to build production fiberglass boats, using the wet-layup technique with polyester resin, then on to vinylester resin for the outside skins, and finally to vacuum-bagged epoxy for hulls that carry 15 year structural and no-blister warranties. 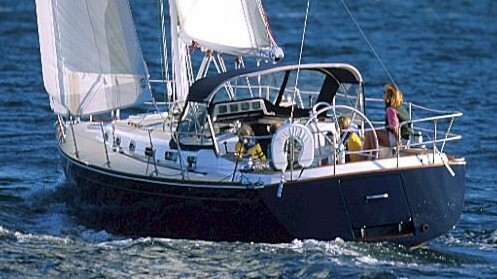 Tartans have a long reputation as racer/cruisers, back to the days before the phrase had been coined. No less a designer than Sparkman & Stephen's Olin Stephens drew the lines for Tartans in the 60s and 70s. 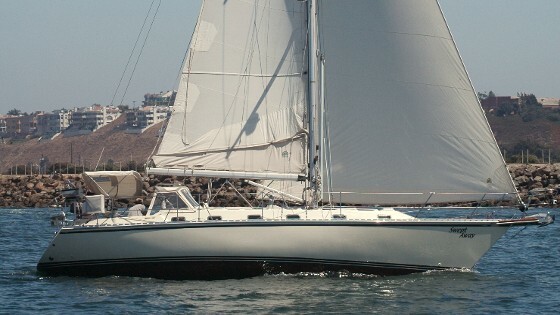 Today Tartan is owned by Fairport Yachts of Fairport, Ohio, who also own the C&C brand. 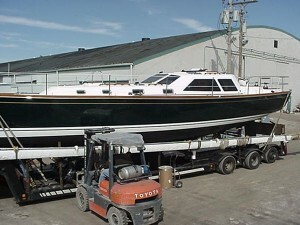 With this brand diversity, and new C&C models clearly emphasizing the racer in racer/cruiser, Tartan's owner and designer Tim Jackett has chosen to take a new Tartan model down a path blazed by quite a few other builders, producing his first raised deck saloon model, the new 4400 LS (for Limited Series). Unusual perhaps to find Tartan in the role of follower, but given the wild excesses of this design trend in recent years, Jackett has been wise to sit back, watch the evolution of the concept, and then step in with a carefully considered design. 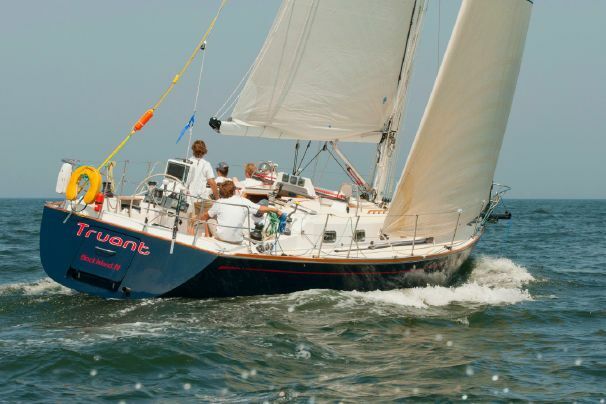 As with Oyster and others who have done it right, Tartan's deck salon design manages to blend the large windows and raised roof into the sweep and flow of the deck; some builders went to extremes that brought to mind greenhouses dropped unceremoniously onto cruising decks. 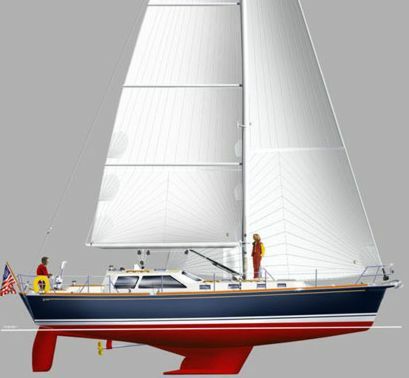 The 4400 LS has a sail area to displacement ratio of 18, right in the traditional Tartan sweet spot, with the club racer in mind. 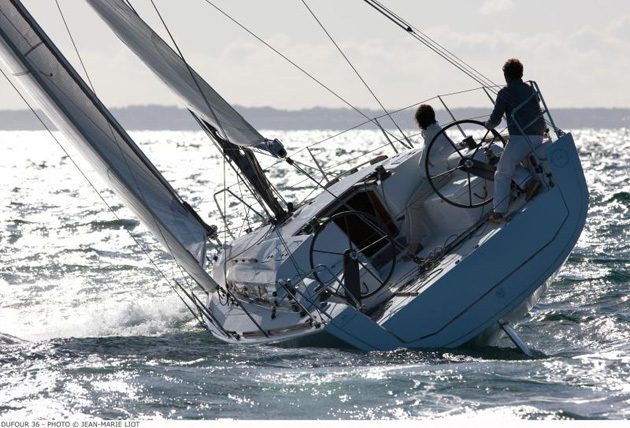 Not enough sail area to get you into real trouble, but enough to move swiftly through all but the lightest of winds. 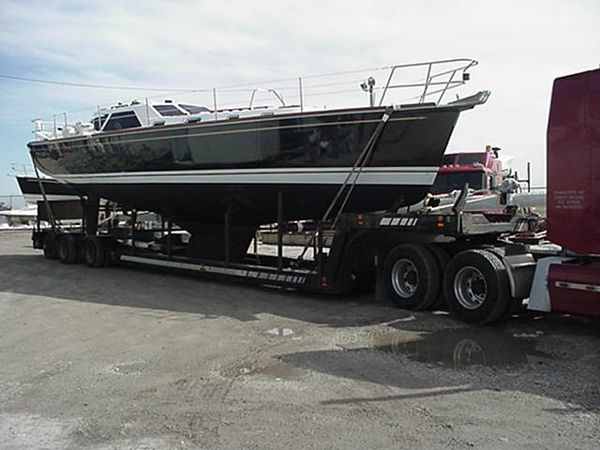 At present there is only one configuration for keel and interior: the usual "beavertail bulb" with a draft of 5'5", accommodations inside are two double bunks, two heads, one with shower stall in the forward, master cabin. One does have a few decisions to make, however, with regards to the interior: varnished cherry or teak joinery, a wide variety of cloths for the upholstery. 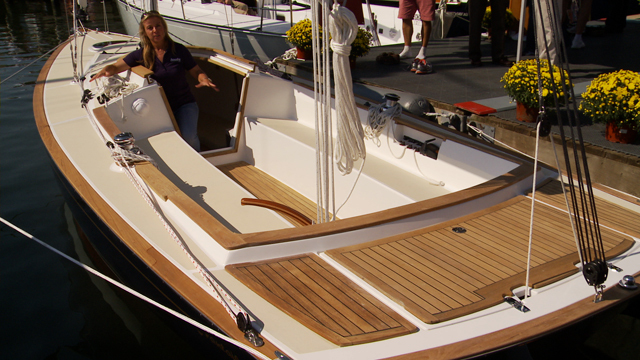 Deck hardware is from Harken; both boom and the double spreader mast are aluminum. Auxiliary power is from a 75 hp diesel. 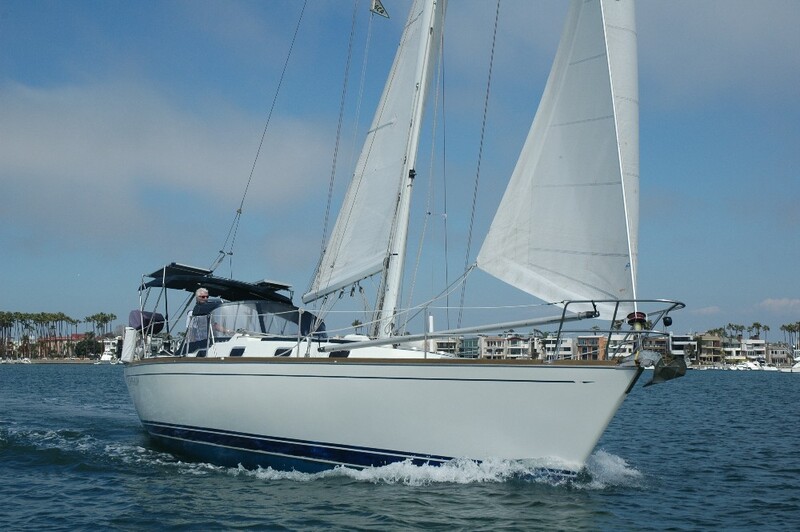 The first 4400 LS left the Ohio factory a few weeks ago, it's world debut is at Pacific Sail Expo, April 23 - 27.